I've been contemplating what my next 30 Day Challenge should be for awhile. I have a few ideas stored in the vault but got really excited when this idea came to mind. I really enjoy reading. I used to read every night before I went to bed, but now I very rarely read for pleasure. I'm excited about making reading a priority in my life again! 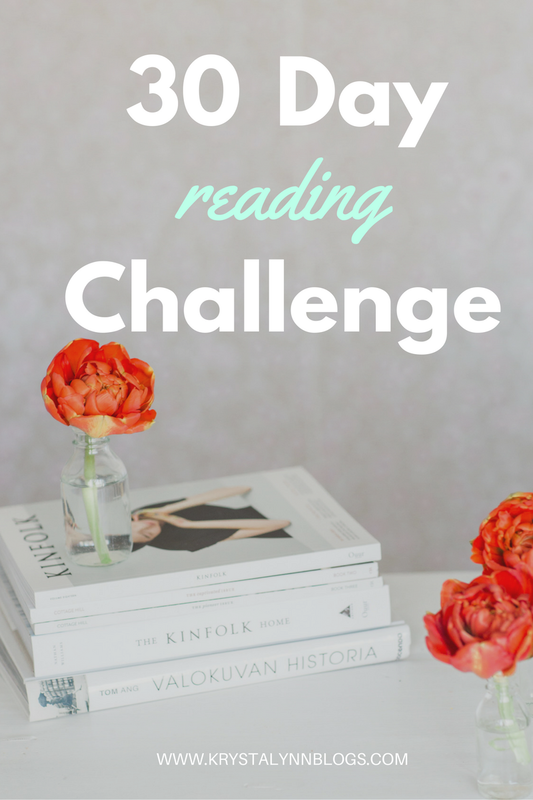 For this challenge, I'm going to read every day for 30 days. I'm going to write it in my calendar and make it a commitment. I'm hoping I can finish the book I'm currently reading (The Pillars of The Earth by Ken Follett), but I'm not making any promises - I'm just hoping to commit to reading again. Reading isn't just entertaining, it's good for you too! After doing some research I've discovered the following benefits of reading. .... just to name a few. If you want to learn more benefits of reading check out this article. What's your favorite book? I'd love some reading recommendations for my next read!